Toyota asked dealers to temporarily suspend sales of the new 2010 Lexus GX 460 after Consumer Reports issued a safety warning on the SUV. “We are taking the situation with the GX 460 very seriously and are determined to identify and correct the issue Consumer Reports identified,” said Mark Templin, Lexus Group vice president and general manager, in a prepared statement. The magazine said Tuesday that there was an increased risk of rollover during a turn, a problem it uncovered during routine tests. It urged car shoppers not to buy the GX 460 until the problem is remedied. Toyota suspended North American sales that day, and on Wednesday it expanded the suspension worldwide to also cover the Middle East and Russia, the only other markets in which the SUV was available. The special designation given to the GX 460 by Consumer Reports — “Don’t Buy: Safety Risk” — is rarely given by the magazine. The last time it was used was in 2001, on the Mitsubishi Montero Limited. About 5,000 GX 460s have been sold in the roughly three months the model has been on sale, the magazine said. It advises current owners of this vehicle to approach exit ramps with caution, and to call Toyota demanding a fix for the problem. The SUV’s electronic stability control program failed to keep the vehicle in line during a severe handling maneuver, allowing it to slide almost completely sideways, said Douglas Love, Consumer Reports spokesman. That situation could lead to a rollover, Love said. Electronic stability control (ESC) is a computerized system that controls the brakes and accelerator to help maintain vehicle control in abrupt maneuvers. The problem with the Lexus’ ESC system became apparent during tests designed to detect a specific emergency handling problem — one in which a vehicle’s back end slides outward when the driver lifts his foot from the gas pedal during a turn. The GX’s ESC system did not become active until the SUV had already skidded dangerously, Love said. The test mimics a driver’s typical response to encountering an obstacle in the midst of a turn or to finding a turn to be unexpectedly tight. “CR believes that, in real-world driving, that situation could lead to a rollover accident which could cause serious injury or death,” the magazine said in a statement. However, Consumer Reports also said in its statement that is not aware of any reports of injuries or deaths caused by the problem. In the test, the SUV was going over 60 miles per hour, said a Consumer Reports spokesman. The problem was not an isolated occurrence, Love said, but occurred during tests conducted by four different Consumer Reports test drivers. To confirm the results, Consumer Reports tested a second GX 460 and found the same problem. The GX 460 was completely redesigned and re-engineered for the 2010 model year. The problem did not occur on Lexus GX models from prior model years. The National Highway Traffic Safety Administration, the government agency that monitors auto safety in the United States, has no crash test or rollover ratings listed for the GX 460 on its Web site. A NHTSA spokesman could not immediately say the if the government has done crash safety and rollover tests on the vehicle. The problem was also absent during tests of the closely related 2010 Toyota 4Runner SUV, Love said. The 4Runner was also redesigned for the 2010 model year. Electronic stability control systems have proven extremely effective in reducing dangerous single vehicle crashes. According to separate analyses by the privately funded Insurance Institute for Highway Safety and the Department of Transportation, ESC systems have been shown to reduce the risk of fatal crashes by as much as a third. The systems will be required on all cars by 2012. Lexus is Toyota’s luxury division and the company has been facing a public relations crisis surrounding allegations of unintended acceleration in many of its most popular vehicles. In the past year, the automaker has recalled 8 million vehicles worldwide for safety issues. CAJON PASS, CA — Officers from the California Highway Patrol (CHP) responded to a single vehicle rollover on southbound Interstate 15 north of State Highway 138 in the Cajon Pass area of California on March 28th. Officers arriving at the scene stated that they found a red 2001 Ford Explorer SUV overturned in the dirt ravine on the west side of the freeway. According to eye witnesses the 2001 Ford Explorer was traveling at or under the posted speed limit, approximately 60 to 65 miles per hour, in the right lane when, for unknown reasons, the Ford Explorer SUV spontanteously crossed all lanes of traffic and proceeded to rollover multiple times. Paramedics from the San Bernardino County Fire Department responded to the scene and confirmed the death of the passenger, George Perry, a 58 year-old resident of Rancho Cucamonga, and the driver, Clara Perry, a 59 year-old resident of Rancho Cucamonga. The California Highway Patrol is investigating the exact cause of this Ford Explorer rollover accident. Diffuse axonal injury (DAI) is one of the most common and devastating types of brain injury, occurring in almost half of all cases of severe head trauma. It is a type of diffuse brain injury, meaning that damage occurs over a more widespread area than in focal brain injury. DAI, which refers to extensive lesions in white matter tracts, is one of the major causes of unconsciousness and persistent vegetative state after head trauma. Though diffuse axonal injury seldom leads to death, the outcome is frequently coma with over 90% of patients with severe DAI never regaining consciousness. Those that do wake up often remain significantly impaired. Unlike brain trauma that occurs due to direct impact and deformation of the brain, DAI is the result of traumatic shearing forces that occur when the head is rapidly accelerated or decelerated, as may occur in auto accidents, falls, and assaults. It usually results from twisting or rotational forces (angular momentum), rather than forward and back impacts linear momentum. Car accidents are the most frequent causes of DAI, with sports accidents and child abuse also common causes. The major cause of damage in DAI is the tearing of axons, the neural processes that allow one neuron to communicate with another. Tracts of axons, which appear white due to myelination, are referred to as white matter. Acceleration causes shearing injury, which refers to damage inflicted as tissue slides over other tissue. When the brain is accelerated, parts of differing densities and distances from the axis of rotation slide over one another, stretching axons that traverse junctions between areas of different density, especially gray-white matter junctions. Two thirds of DAI lesions occur in areas where grey and white matter meet. Patients typically have several focal white matter lesions of variable size (1-15 mm) in a characteristic distribution. Areas most vulnerable to injury are the frontal and temporal lobes. Other common locations for DAI include the white matter in the cerebral cortex, the corpus callosum, the superior cerebral peduncles, basal ganglia, thalamus, and deep hemispheric nuclei. These areas may be more easily damaged because of the difference in density between them and the rest of the brain. DAI is difficult to detect since it does not show up well on CT scans or with other macroscopic imaging techniques. However, Diffuse Axonal Injury does show up microscopically. Axonal damage in DAI is largely a result of secondary biochemical cascades, and has a delayed onset, so a person with DAI who initially appears well may deteriorate later. Thus injury is frequently more severe than is realized, and medical professionals must suspect DAI in any patients whose CT scans appear normal but who have symptoms like unconsciousness. MRI is more sensitive and 30% of head injured patients with normal head CT scans have signs of DAI on MRI. But MRI may also miss DAI, because it identifies the injury using signs of edema, which may not be present. DAI is classified in grades based on severity of the injury. In Grade I, widespread axonal damage is present but no focal abnormalities are seen. In Grade II, damage found in Grade I is present in addition to focal abnormalities, especially in the corpus callosum. Grade III damage encompasses both Grades I and II in addition to rostral brain stem injury and often tears in the tissue. DAI currently lacks a specific treatment beyond what is done for any type of head injury, including stabilizing the patient and trying to limit increases in intracranial pressure (ICP). Opposite lock is a colloquial term used to mean the deliberate use of oversteer to turn a vehicle rapidly without losing momentum. It is typified by the classic rallying style of rear-wheel drive cars, where a car appears to travel around a tight bend sideways. This technique can also be used for front wheel drive vehicles and is referred to as drifting (not to be confused with the sport) in North America. The term “opposite lock” refers to the position of the steering wheel during the maneuver, which is turned in the opposite direction to that of the bend. The technique works best on loose surfaces where the friction between the tires and the road is not too high, but can also be used on asphalt or other surfaces with high friction if the vehicle has enough power to maintain speed. In this case a light tire pressure increase is recommended to avoid problems during or after manoeuvres. 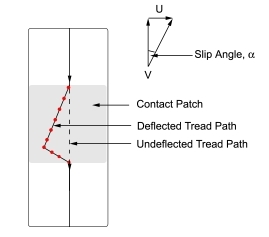 A related technique is the handbrake turn, in which the rear wheels are deliberately locked in order to break the friction between the tires and the road, allowing the car to be spun around a very tight bend or junction, etc.